SAN FRANCISCO: On Amazon's streaming game platform Twitch, the world of gaming is being intermingled with real life. 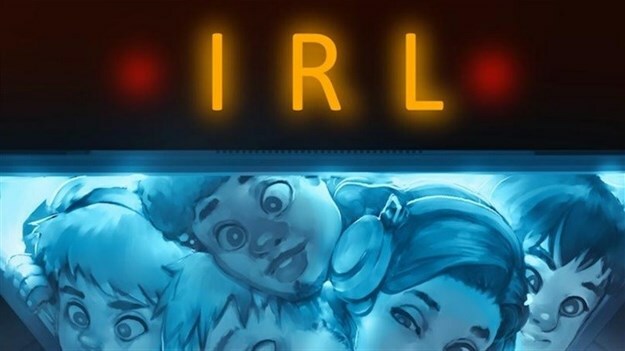 A feature unveiled Thursday by Amazon called IRL - the acronym for "in real life" - lets people broadcast moments from their lives as part of game play. Amazon called this feature "a new content category designed to both enable and encourage Twitch's creators to step outside of their traditional gameplay content, and share content captured from their everyday lives." The new feature ramps up the capabilities of Twitch, a recent Amazon acquisition known for so-called social gaming and e-sports, or competitive video game play. Twitch chief executive Emmett Shear said the introduction comes because users "are interested in sharing their everyday lives, thoughts, and opinions with their communities". Meanwhile, Amazon Game Studios launched an alpha version of "Breakaway," its first new title in the hot e-sport arena of video game play as spectator sport. The game envisioned as heroic characters from myth and legend teaming up to compete in a sort of "game of the gods" inspired by ancient Olympics and Aztec ball courts, studio head Patrick Gilmore said after providing AFP an early look at the game. Two teams of four players face off online, each represented by a champion ranging from a gunslinger, mage or a knight to a "nuker" named Victor. Being able to build traps or defenses, and having time between rounds for players to huddle, enhanced the strategic element of the otherwise fast-paced game, a hands-on demonstration showed. "We look at it as way more of a sport than anything out there," Gilmore said, referring to the competitive array of e-sports that draw viewers with play streamed in real time. US online retail giant Amazon snatched up Twitch and its huge audience for live-streamed gaming in 2014. The purchase was one of the largest in Amazon's history – $970 million in cash for the three-year-old internet company. Twitch claims the crown as the world's leading social video platform for gamers, with more than 100 million people using the service to watch and discuss play being streamed live or on-demand. Twitch.tv lets anyone broadcast game-related content and allows them to connect with publishers or advertisers.